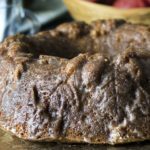 This recipe for Glazed Apple Bundt Cake makes a decadent cake with that's soft, moist and coated with a crunchy apple glaze. It's the perfect coffee cake, dessert or breakfast treat. 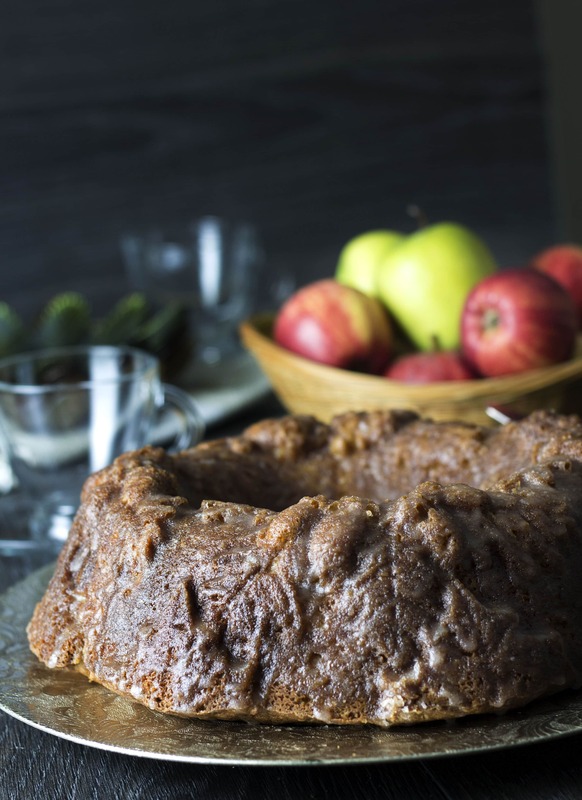 This recipe for Glazed Apple Bundt Cake makes a decadent cake with that’s soft, moist and coated with a crunchy apple glaze. It’s the perfect coffee cake, dessert or breakfast treat. 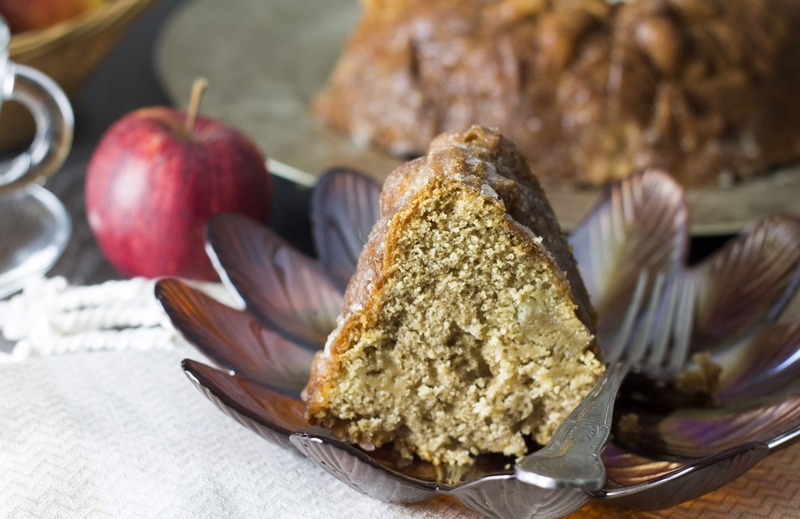 This easy apple cake can be made without a mixer. Because it uses melted butter opposed to softened, you can literally throw all of the ingredients in a bowl and mix it up with a wooden spoon! 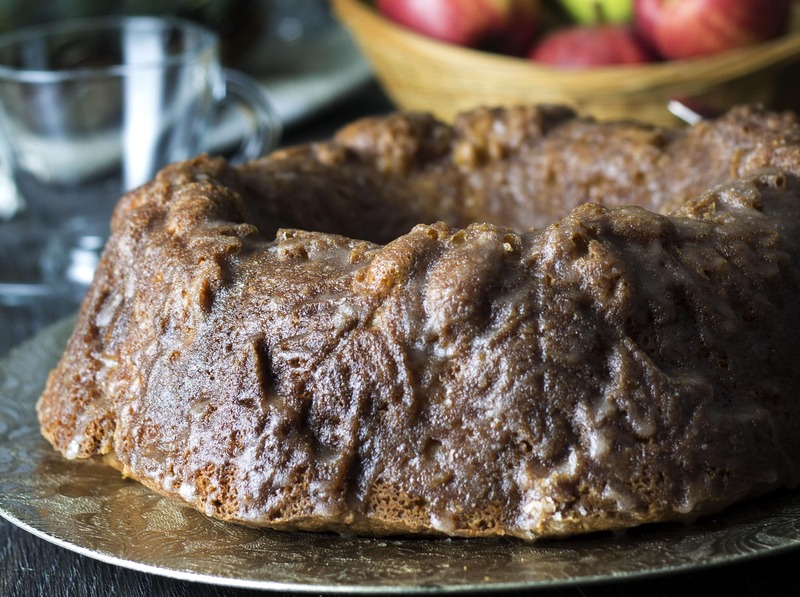 To freeze this Glazed Apple Bundt Cake, just bake it without the glaze and freeze in an airtight container for up to four months. Once thawed you can re-heat it and add the glaze before serving. My Classic Apple Turnovers are made on a regular basis, but after getting my new Nordic Ware Autumn Wreath Bundt Pan I knew I had to make something with apples! If you’re in the US, you can get one from here on Amazon. If you’re in the UK, click here. 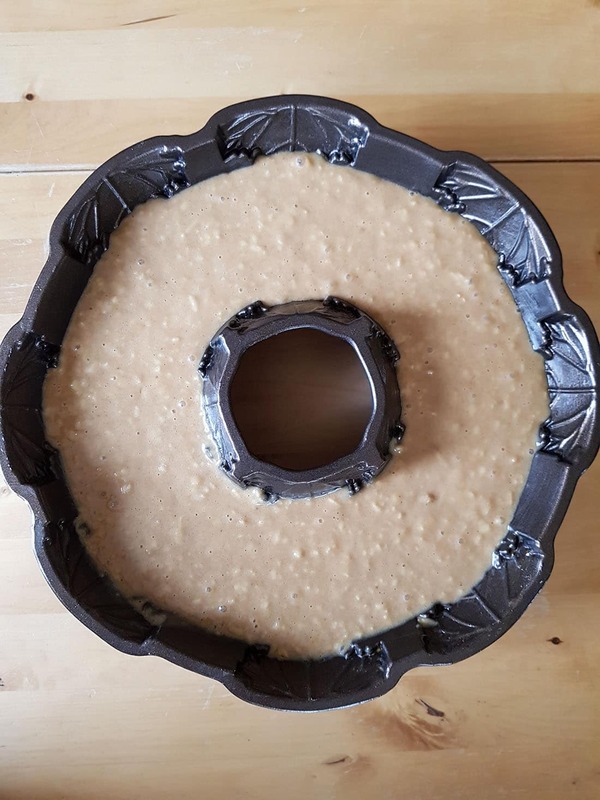 One great thing about baking with fruit like my Glazed Apple Bundt Cake is there is so much moisture from the grated apples, there is no milk used in the recipe. It can also be easily made into a dairy free apple cake by substituting the melted butter with the oil of your choice. This moist, fluffy cake with apples galore and a crunchy coating is near perfection. You can serve it for special occasions, to treat your loved ones, or make it purely for those moments when you just need a good slice of cake, this glazed apple beauty is guaranteed to hit the spot. Simply put, this beautiful cake is just delicious – bake it, and devour it. 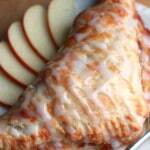 I make the glaze using apple juice giving the cake another kick of apple flavor. The trick to the glaze is to coat the cake while it’s still warm. The juice seeps into the cake, adding flavor and moisture and leaving a crunchy sugar coating. I’m telling you this cake is like the best and biggest apple doughnut you’ll ever have. Enjoy! When making Bundt cakes, be sure to grease the pan generously to make it easier to remove the cake from the pan. After shredding the apples, coat them with a bit of lemon juice to keep them from turning brown before using. 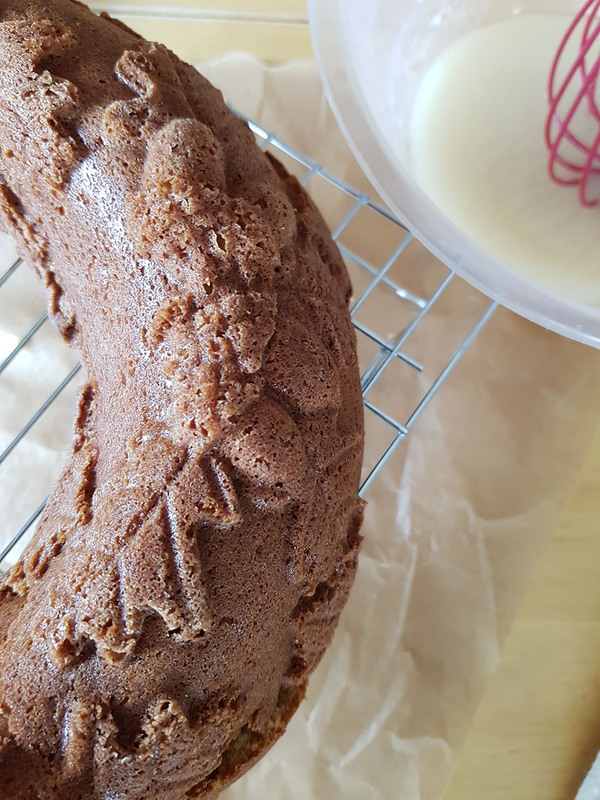 Be sure to glaze the cake while it’s still warm to allow the apple juice to seep into the cake and the leaving the sugar to form a sweet crunchy coating. Note: This recipe was originally posted in October of 2016. It was republished to include prep photos and nutritional information. 5 medium apples grated (keep from turning brown with a little lemon juice squeezed on the slices). Grease a 12 cup bundt pan. Add the cooled butter, eggs, and vanilla. Mix until smooth. After the cake cools in the pan for 10 minutes, invert onto a cooling rack (the cake should still be warm. Place some baking paper under the cooling rack to catch any glaze that drips off the cake. Glaze the outside of the entire cake (you can use the glaze that drips off onto the paper beneath by scarping it onto a spoon). Leave to cool another 20 minutes to allow the glaze to set into a crispy coating. This is my boyfriend’s favorite cake! We both thank you! 10 stars!! This cake is like a big beautiful apple donut! It’s just incredible! That is so awesome to hear! Glad you enjoyed it so much! This cake is DELICIOUS! Thanks so much for the freezing instructions. I’m going to make it ahead for Thanksgiving! Anything that helps make Thanksgiving easier for people makes me happy! Yay! I made this cake for a function and it was delicious! Thanks so much! have not tasted it yet. Love the glaze. Sorry Claudette, the original recipe has another layer I took out so it was a typo. All the batter goes in. 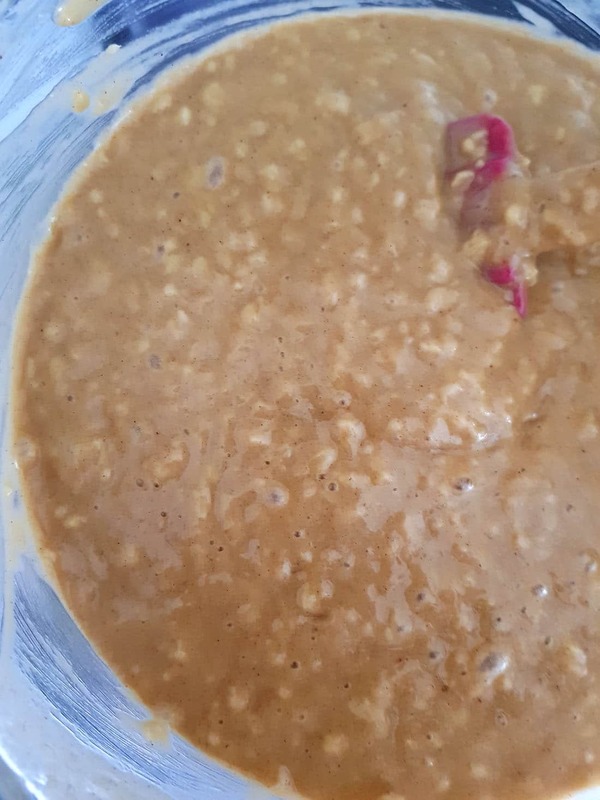 I fixed the recipe. Thanks for pointing it out!